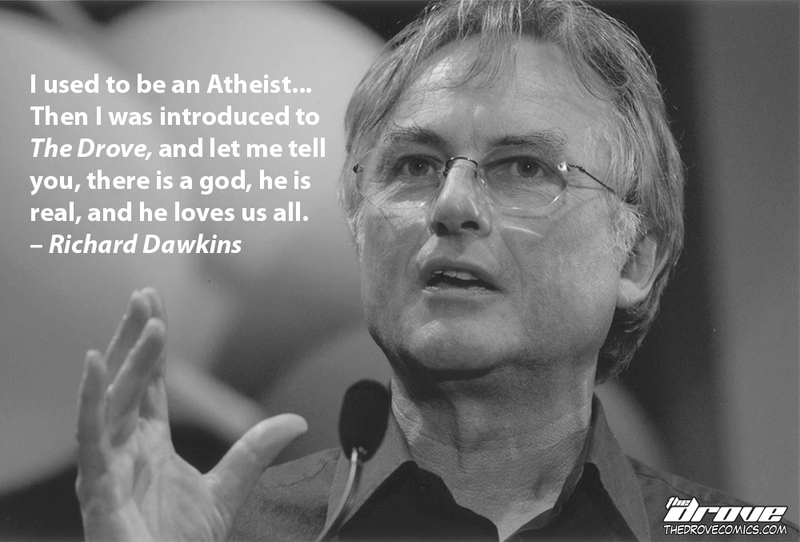 Todays Real Celebrity Quote coming from Mr. Dawkins himself. See kids, there’s still hope for you yet, but only in The Drove! This entry was posted in Real Celebrity Quotes and tagged Atheism, Atheist, celebrity quote, comic, drove, real celebrity quote, Richard Dawkins, sci-fi, the drove, thedrove, webcomic. Bookmark the permalink.